I adore the snow pillow! I think you mean "for the Sonya", Jen. By which I mean, GIVE ME ALL THE COZY SOCKS. I can definitely appreciate all of these items, being quite the homebody myself ;) I'd love to cozy up in those slippers and socks! This guide is SO perfect, though I've been loving them all! It sometimes amazes me I have a "style" blog since I'd probably live in pajamas and cozy socks all winter long if I could! I am such a homebody - peppermint hot chocolate? yes please! 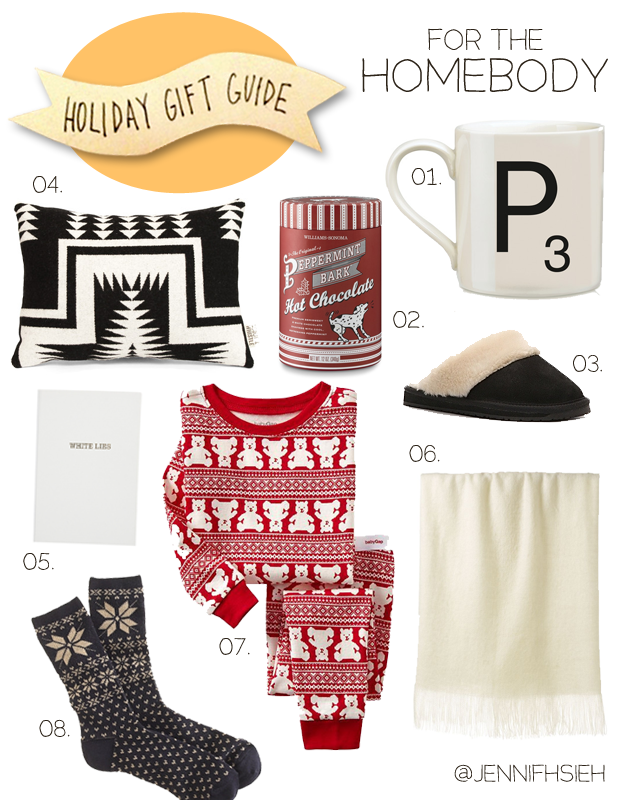 What an adorable little gift guide. I LOVE the patterned socks!